Three isolated headphone outputs with individual volume controls. 125 dB dynamic range with flat frequency response. Durable 1/4-inch connectors, panel mounted for strength. Peak LED indicates headphone overload. 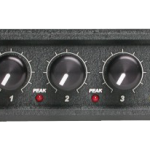 Two balanced XLR line level inputs or unbalanced 1/4-inch and 1/8-inch stereo inputs. 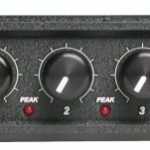 Loop Output to connect additional HX-3’s in series. All-metal connectors solidly mounted to the chassis for durability and RF immunity. Free from “Pin-1” grounding problems. Internal battery-power for up to 18 hours from two AA alkaline batteries. Chassis-isolated 5 to 18 VDC input for easy external DC powering. Power LED indicates low battery power. High strength, extruded aluminum chassis with protective metal end panels. 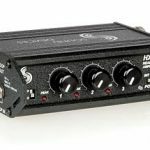 The compact HX-3 Headphone Distribution Amplifier is the perfect accessory to quickly provide three high-performance stereo headphone feeds with individual level controls from line-level sources. The HX-3 can produce very high headphone levels with extremely low noise and distortion. 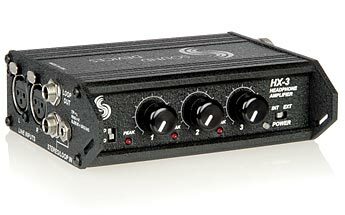 The HX-3 accepts balanced XLR line-level inputs or unbalanced 1/4-inch and 1/8-inch stereo inputs. 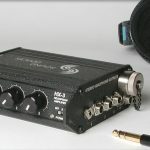 Its 1/4-inch loop-out can connect multiple HX-3’s for additional headphone outputs. Headphones are connected to panel-mounted 1/4-inch stereo connectors. The HX-3 has a durable aluminum chassis to withstand the punishment of field and studio environments. The unit is powered by inexpensive batteries (two-AA) or external 5-18 VDC. The HX-3 can add headphone outputs to the 552, 302, MM-1, and USBPre-2. 1/8-inch unbalanced: 9.1k ohm impedance. 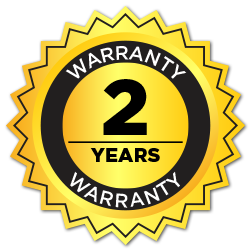 Internal: 2 AA alkaline batteries, 18 hours life typical with nominal levels. External: 5 - 17 VDC via threaded coaxial connector (5.5 mm outer diameter, 2.1 mm inner diameter), pin positive, sleeve negative. Green indicates power and good battery. Red indicates power with low batteries. LED turns red when ~ 4 hours of battery life remain.